Ravi Shastri’s bombastic words on commentary still rings in all our ears, the sight of Dhoni sinking that half volley into the Wankhede crowd is embedded in our memory. The helicopter is purring, the defense is ugly but effective and the running between the wickets is lighting quick. The year is 2011 and Mahendra Singh Dhoni is at the peak of his powers, promoting himself above the man of the tournament in India’s most monumental chase in history and winning India the World Cup. He can do no wrong. 8 years later, he is about to head to his 4th ODI World Cup, and opinion on him is more divided than ever. He is no longer the MS of old, the helicopter seems to have run out of gas, the strike rate is vintage and there are few more greys in the beard. There are calls for him to be dropped and to give the dynamic Rishabh Pant more chances. People have seemed to have made their mind up on Dhoni, and whatever he does now can’t change their opinions, merely validate them. We as Indian fans seem to be stuck in the past when it comes to MSD, we expect him to come out and go hard from ball one and completely dominate a team. But players evolve, and Dhoni no longer explodes past the finish line, he merely trots over it. As he did in the last 2 ODI’s in Australia. His three half centuries helped India win their first bilateral ODI series in Australia and helped him pick up the man of the series award in the process. For the meantime; that will keep the circling vultures away, but to many, there are still questions needing answers. In a 240 run match, he is a priceless commodity; but in the age of 300+ totals the assumption is he is more of a hindrance than help. Does he put too much pressure on the other batsman, is he consuming too many dot balls? In the era of T10, instant gratification, ever-updating technology and not wasting a single delivery, Dhoni does something that almost seems like the cardinal sin; he takes his own time. To many that seems like a flaw, but it could be his greatest asset. Acting as the perfect foil for those around him. While the likes of Kohli, Jadhav or Karthik can move the game forward. MSD can be the one to drop the anchor and guide the team to victory. He has the smartest cricket brain in the country and with laser like precision he will know when to move through the gears and which bowlers to target. But to do that, he needs to take his time in the beginning. And in a 300 ball innings, surely we can afford him that luxury. Moreover, what he brings to this team is way more than his runs in the middle order. He is still India’s best wicketkeeper at the age of 37 and is basically the pseudo fielding captain. On the ground, he is akin to a choirmaster, guiding the spinners and orchestrating the field. These are aspects to his game that statistics can’t show. His experience in a World Cup will be invaluable and it is a foregone conclusion that he should be on that flight to England in May. They say that the modern game has eclipsed him, and he can no longer do the things he could a decade ago. But, Mahendra Singh Dhoni is a once in a generation cricketer, who has witnessed and choreographed the transformation of Indian Cricket. A true champion, oblivious to the world around him and he is still taking his time and readily waiting for his curtain call. The Men Who Rewrote History. India first arrived on these shores in 1948, and the only fate that has fallen upon them for 71 years on Australian soil has been torment, torture and agony. Touring Australia always had that feeling of inevitability, you’d be crazy to even think you had a chance. The likes of Chappell, Border, Ponting, Warne and Clarke have given previous Indian sides no respite. We couldn’t do anything about it, not Hazare, not Gavaskar, not Dev, not Tendulkar, not Dhoni. Australia was a beast too big, a rung too high on the ladder; winning there was merely a fantasy. Virat Kohli and his boys arrived with no skeletons in their closet, defied previous results and carved themselves a piece of history. There will no longer be that 0 on on our ledger. The fantasy is now reality. India back to ground zero. This was less of a test match and more of a boxing fight. There were blows to the body and head, Aaron Finch was left with a broken finger and there were two teams swinging for the heavens and competing for every inch. By Day 4, India were on the ropes and Nathan Lyon launched the knockout blow by picking up the priceless wicket of Kohli. But by the time India had to bat in the 4th innings, we didn’t really need to see what was going to happen. They could have just played India’s 4th innings from Cape Town, Centurion, Birmingham or Southampton from earlier in the year and we would not have noticed the difference. The 2 openers out early, Kohli and the middle order offering some resistance before the entire batting order falling like 9 pins. 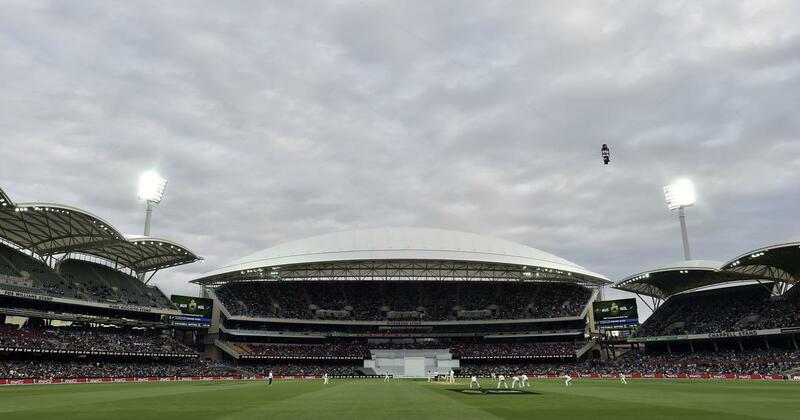 Australia ended up winning the game by 146 runs, which has set up the series in an unprecedented manner; leaving it 1 win apiece with 2 matches to go at arguably 2 of the greatest Test venues in the world. So what went wrong for India after the elation of winning the first test in Adelaide. The batting monk, and 21 others. The sun beat down and baked the Adelaide turf, the Australian pacers toiled away bowling ball after ball on a good length. Beers were passed around the stadium and a flock of seagulls were busy chirping on the grass banks. Everyone seemed to be going through the motions, well everyone apart from Cheteshwar Pujara. He was playing a completely different game and was in a state of eternal zen. 15 years ago, one of India’s finest (Rahul Dravid) led India to victory in Adelaide; today his successor followed in his footsteps. Two Adelaide Masterclasses 15 years apart! 2018 could have been the greatest year in the history of Indian Cricket. The year where we conquer our foreign demons and win on away test tours to South Africa, England and Australia. No Indian team had ever done this before, and no Indian team had a better chance. However, as we enter December; 2018 will be remembered as a year of what if’s and almost’s. It was the weakest South African side in recent memory, and definitely the tamest English team in the last two decades, but still India failed to cross those 2 hurdles. Despite taking 10 wickets in every innings, our batsman failed to score the runs. It’s true bowlers win you test matches, but for that, you needed your batsman to set it up. And now, the Indian team is off to face the last gauntlet of our triple headed away test, Australia. A place where the bouncy pitches and infinite boundary lines have offered us very little solace and respite. Ravi Shastri and Virat Kohli have been very bold in claiming that this is the best Indian team for a long time. But truthfully speaking, while this bunch of players have the makings and potential to be our greatest team ever, the proof needs to be in the pudding. In the Tendulkar-Dravid era, India have managed to draw in Australia and win in England, against might I say much tougher opposition than what the 2018 side are facing. While this Kohli team have certainly looked the part, they have nothing to show for it; returning home twice this year with two series lost and a 6-2 scoreline over 8 tests. That does not look like pretty reading. However, the ghosts of the past can be forgotten over the next 4 Test Matches. India have the opportunity to rewrite history. This is their best chance to win in Australia and win an away test series; which has become a sort of a Solar Eclipse in modern day cricket. The events in South Africa have ensured that 2 of Australia’s best Batsman David Warner and Steve Smith, won’t lay their mark on this series. Australia are as vulnerable as they can be and their recent form in International Cricket has left a stain on the baggy green. And India should smell the blood, and attack. Virat Kohli is a different man compared to the angry, rash, bird flipping youngster who arrived on these shores in 2011 and 2014 and scored a mountain of runs. He arrives as a man with nothing to prove, and the world on his shoulders. This Indian pace attack is Indian only in name. Their exploits in England have shown their venomous and skiddy nature, and are capable of troubling any batting line up. The likes of Prithvi Shaw and Rishabh Pant arrive on Australian shores without the scars of the past. Two fearless mavericks bred from the new generation of Indian Cricket and are ready to take the whole world on. This Indian side isn’t the best Indian team in history, but it is unlike any team in Indian history and are on the cusp of rewriting it. A Test Series for the ages. England v/s India in 2018 was meant to be the dawn of India’s rise to cricketing supremacy, and then dismissed after two games as a stark mismatch which called for cries of the death of Test cricket, ultimately it ended up as neither. However for those who remember it years from now, will recall the emotions it aroused, yet be astounded to discover that England won it 4-1. India scored more centuries, took more 5 wicket hauls, held on to more of their catches, had the better top 4 and the better top 6. 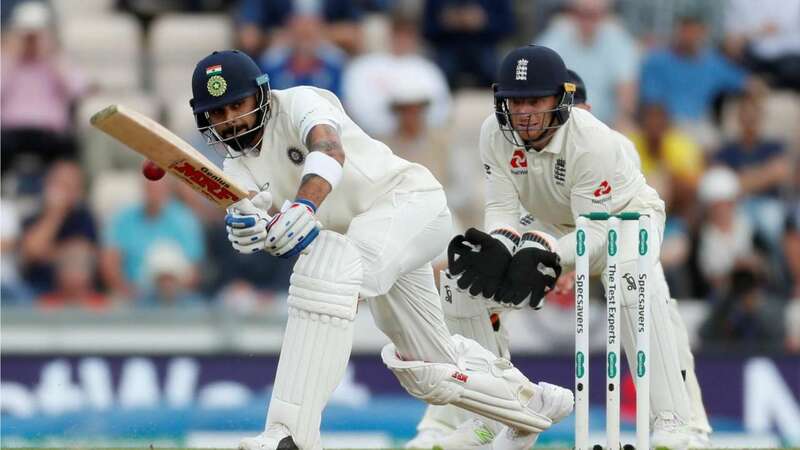 India also had the 2 highest scores of the series and the 4 best knocks were all arguably played by Indians (Kohli in Edgbaston, Pujara in Southampton and Rahul and Pant at the Oval). However we still managed to suffer our worst defeat in England for 7 years. It was a worse scoreline than the 3-1 defeat here in 2014, and yet a far superior performance. Unlike four years ago, when MS Dhoni’s side seemed as if they were present on the field and on the plane home at the same time, India fought to the very end. And yet our best batting day of the series ended with Mohammed Shami’s middle stump flying in the air and England being comfortable winners. 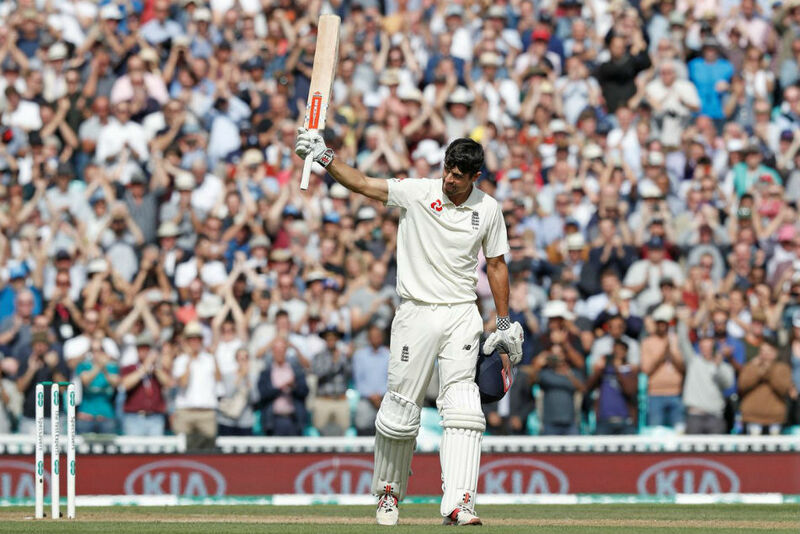 Nevertheless, it was a series that tugged the heartstrings and toyed with your emotions, from Anderson and Kohli’s constant battles to Pant and Rahul’s swashbuckling centuries and all the emotion surrounding Alastair Cook’s last swansong. However the record still reads one thrashing apiece, and 3 nail biters that could have gone either way. And yet to explain why all 3 went to England one has to go beyond the statistics and understand the essence of Test Cricket, which is a game of moments. And throughout this series, all the key moments when to England. Those 15 minute periods where the game is right in the balance and any team who seizes the opportunity will come out in front, all went to England. You can say India were in foreign conditions, or say that they lost all the tosses, but the fact is those key match defining moments where one team had to grab the impetus all went to England. Whether it be Sam Curran’s gutsy knocks or Moeen Ali and Adil Rashid’s crucial breakthroughs, England always managed to get back in the game and stay in front from then on. Furthermore, throughout this series the spotlight has been on Virat Kohli and after 5 test matches, he has strengthened his reputation as a batsman but weakened it as captain. Certainly his Herculean 593 run tally will be one of the best efforts in a losing cause in history and he has further cemented his place as the best batsman of this generation. But as a captain, he has been found wanting. He has been guilty of trying to making things happen at every instance, instead of letting the game come to him and some of his bowling changes have been peculiar. Kohli is always looking for the more aggressive option, when sometimes in Test Cricket that might not be the wisest choice. His God-like status in Indian cricket has driven him to new heights as a player, but may have had the opposite effects on some of his team-mates. Barring Ishant and Shami all of our experienced pro’s have been disappointing. Maybe its time Kohli puts a hand around Pujara and Rahane, who may have more insecurities than him, and assure them of a place in the 11 irrespective of their performances. Maybe then that puts an end to all the tentativeness and we can see the performances they are capable of unearthing. For England on the other hand, they may have won the series but their team still has more questions than a Spanish Phrase Book. The top order batting is extremely fragile, Jonny Bairstow has regressed as a batsman and all the slip fielders fingers must be laced with butter. But for now all of that can wait. For it is a time to enjoy this enthralling, nail biting Test series. Two flawed teams leaving no quarter and giving us one of the most exciting Test Series of recent history. A modern classic, which has been a privilege to witness. More of the same for India, but signs of so much more. At 123-3, India were tapping on the shoulder of history, or more accurately Virat Kohli was tapping on the shoulder of history. Victory and the potential of a series decider at the Oval in a weeks time was still far off, but for every second that India’s captain stayed at the crease, it was a lingering possibility. However, a few minutes before Tea, Moeen Ali, with unerring accuracy throughout the day again managed to land a ball in the rough which viciously turned and bounced off Kohli’s glove before safely landing in the palms of Alastair Cook. Kohli went for the review anyway, hoping for a temporary blip in technology. But there was a clear spike, and Kohli begrudgingly walked off the Ageas Bowl; seemingly with all of India’s hopes. From that moment on, it was more of a procession; the light at the end of the tunnel seemed to get dimmer and dimmer and India were back in that familiar, dark tunnel of away failures. Kohli was magnificent all series and became the first Asian Captain to score over 500 runs in a Test series in England. However, India didn’t lose this series because of their poor batsmanship on a treacherous Southampton pitch. They also didn’t lose it because Ravi Ashwin failed to land enough balls in the rough on the day before, or the fact that they didn’t know how to get Sam Curran out. India lost because our batsman once again, failed to prove their worth. All series it seemed that Virat Kohli was alone at the vanguard, trying to take on every volley of English attack. And to his credit, he was a class apart, the word “2014” seemingly erased from his memory. He scored 544 runs, more than double the amount of the second best batsman in this series and was a class apart. Unfortunately, Kohli was the lone warrior, while his Indian batting partners surrendered instantly as the ball started moving sideways. The Indian camp had no answers against Moeen Ali, who picked 9 wickets in the match. Barring the Captain, India’s batting line up consisted of cover-drive loving openers, 2 out of form and confidence lacking technicians (Pujara and Rahane) and a brittle middle order littered with IPL stars looking little lost at the highest level. While the bowlers were fantastic and gave India 20 wickets in every game, the batsman failed to capitalize on those outstanding performances and it seemed that Virat Kohli was an island in a sea of failures. India started 2018 with away tours of South Africa, England and Australia in front of them. This was supposed to be the year of change, where history was to be defied and where winning away became fashionable again. India faced the weakest South Africa side in recent memory, and probably the most vulnerable English side of all time, but have nothing to show for it. And in December The Blues take on a Smith and Warner-less Australia who seem extremely fragile and there for the taking. We let two opportunities slip through our fingers this year, and I am praying that when we go Down Under, we would have learned our lessons and will be prepared to challenge the history books once again.